by Der Chor der Staasoper Wien. for the child in you!! 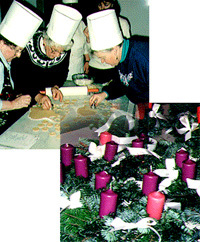 A beloved Austrian tradition that takes place at the time of Advent, the four weeks preceding Christmas, is the “Christkindlmarkt” or Christmas Market, going back several hundred years The smells, the sounds and the tastes of Christmas, with snow flakes sugaring the whole picture - the children loved it and the grown-ups did too. And so, many years later in our "E" world, the Christmas Markets still flourish in Austria, giving the artists & merchants alike the chance to give back to us our childhood dreams of an old fashioned Christmas. 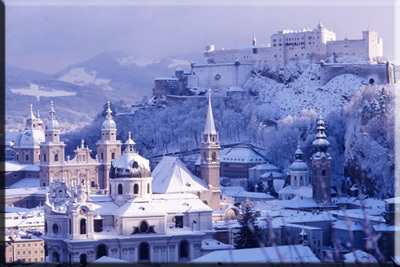 On this tour participants will be visiting Christmas Markets in Baroque Salzburg and in Imperial city of Vienna. 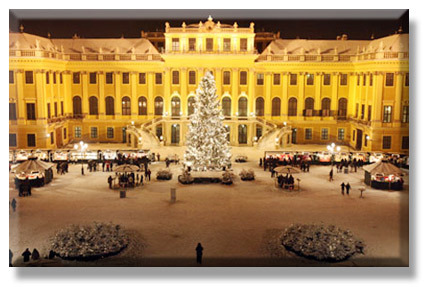 They will listen to famous Choirs singing Christmas music, visit markets where artists from all over Austria display their handiworks; and be instructed by a master baker in the art of baking Austrian Christmas cookies especially the "Vanille Kipferl" at the former Imperial bakery in Schönbrunn Palace. 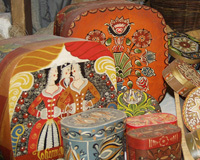 Sightseeing tours and great dinners round out this experience. 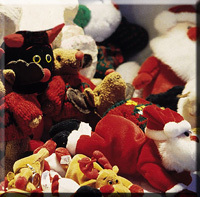 They truly are getting involved in the very spirit of Christmas. Herzerl Tours can assist with your airline reservations. AM arrival at Salzburg airport, transfer to hotel in private car with English speaking driver check in at Hotel AUSTROTEL**** or similar. PM pick up from hotel by English speaking guide for a walking tour of the Old city of Salzburg including the Christkindl markets and 1 glass of hot mulled wine. EVE Welcome dinner at typically Salzburgian Restaurant K&K Am Waagplatz. 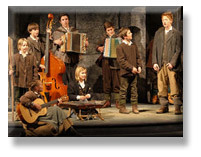 AM Half day excursion with regular coach "Sound of Music". 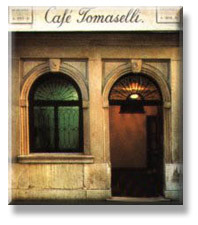 PM free at leisure; coffee & cake at famous Café Tomaselli (1 piece of cake & 1 coffee/tea). 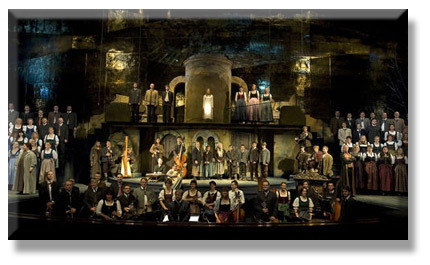 7:30PM attend the world renown “Salzburger Adventsingen” at Grosses Festspielhaus. Noon transfer from hotel to station Salzburg in private car/minivan with English speaking driver; take the train from Salzburg to Vienna; upon arrival in Vienna transfer to hotel in private car with English speaking driver and check in at Hotel Johann Strauss or sim. 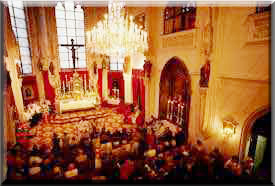 AM attend Vienna Boys Choir singing mass at the Chapel of the Imperial Palace. 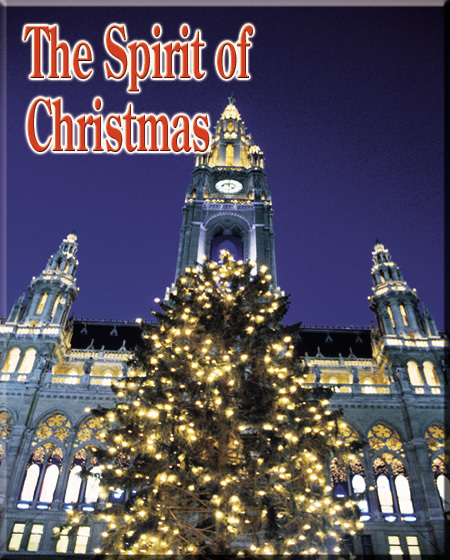 Afterwards city walk of through the Inner City of Vienna with English speaking guide incl visits of the oldest Christkindl market at Freyung, Clock museum and the Creche exhibitionat St Peter’s. PM poss. to attend Int'l. choir singing at Vienna Town Hall. EVE attend performance of Austrian music in the Wiener Kursalon (Mozart & Strauss). AM halfday city tour by regular sightseeing coach incl entrance to Schönbrunn Palace. Leave the after walk through the palace and attend a cookie baking session at Café Residenz. 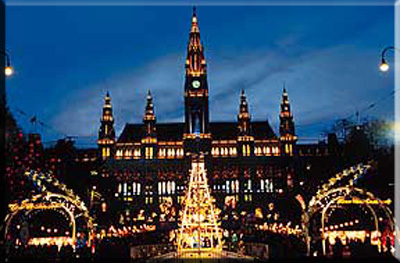 Then enjoy the Christmas market in front of Schönbrunn Palace (incl: 1 glass of hot mulled wine and 1 hot meal) return by public transportation back to the hotel. EVE Farewell dinner at Vienna’s oldest Restaurant Griechenbeisl in the Inner City. AM transfer from hotel to Vienna airport in private car with English speaking driver for return to home. Herzerl Tours also recommends you visit this site while you are "CYBERTOURING"
PUBLISHED BY HERZERL TOURS on april 2018- changes may be made to the program, if deemed necessary by tour operator - tour prices are based on exchange rate at time of publication and may be changed if deemed necessary.